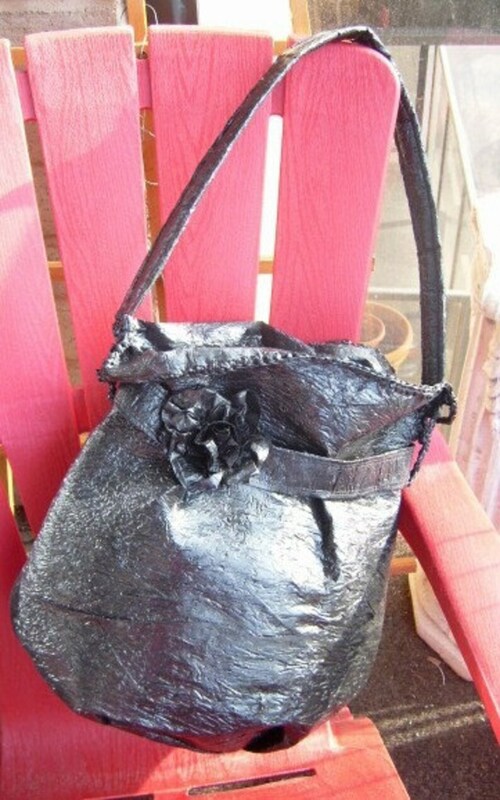 This large soft form purse made from 100% post consumer fused black garbage bags has an interior pocket, magnet closure and a strap long enough to hang on your shoulder. Sturdy and stylish, at approx. 15"x15"x4" it is designed to carry all your daily needs.